As President Donald Trump seeks to wind down the fight against the Islamic State in Syria, his administration is increasingly leaving open the possibility that some of the group's foreign fighters be sent to the U.S. detention facility at Guantanamo Bay, Cuba. Trump has advocated as a private citizen, presidential candidate and even while in office to move more detainees to the facility. It was a stark contrast to his predecessor, who unsuccessfully sought to close it. As president, however, Trump has sent no one to Guantanamo. Instead, his administration is pushing for foreign ISIS fighters detained in Syria to be returned to their home countries, in the region and in Europe. That effort has, so far, been met with mixed success. Administration officials, including the State Department's deputy spokesperson Robert Palladino, have said options for foreign fighters who cannot be repatriated include Guantanamo, sometimes referred to as Gitmo. "Our preferred first option would certainly be repatriation and prosecution, keeping [foreign terrorist fighters] locked up in countries of origin when possible, where possible," a senior State Department official told ABC News. "But when countries aren't willing to take responsibility for their own citizens that went and fought for the Islamic State, if they are high-value detainees, and members of ISIS leadership, then we're going to make certain that they remain off the battlefield. One way of doing that might include sending them to Gitmo." There are approximately 850 foreign fighters still in the custody of the Syrian Democratic Forces, the U.S.-backed troops now fighting the last remnants of ISIS in eastern Syria. "The United States is asking Britain, France, Germany and other European allies to take back over 800 ISIS fighters that we captured in Syria and put them on trial" Trump tweeted Saturday. "The alternative is not a good one in that we will be forced to release them. "Time for others to step up and do the job that they are so capable of doing." That is still the administration's preferred option, according to several officials. But as the last of ISIS's territory falls and the U.S. prepares to withdraw its forces, there is growing concern about the SDF's ability to detain foreign terrorist fighters, especially those considered "high-value" -- less than 10 percent of the current detainees. "It's untenable. They just don't have the infrastructure or ability to do so, especially as U.S. troops are starting to be pulled out, and it just becomes harder and harder to run open-air detention camps," said Seamus Hughes, deputy director of the Program on Extremism at George Washington University. Coupled with the slow pace of repatriation, the threat of fighters' release makes Guantanamo Bay a more serious consideration -- and it's a position vocally advocated by Republicans in Congress. "The close to 1,000 ISIS terrorists captured in Syria must never be allowed to return to the battlefield," Sen. Tom Cotton, R-Ark., told ABC News. "Guantanamo Bay has vacancies. We ought to ship the worst of the worst there so they can't slaughter innocent people ever again." Cotton is one of four Republican senators actively urging Trump to send fighters to Guantanamo, "where they will face justice," the group wrote in a letter to the president last month. The Defense Department said Friday that option may be considered. "The USG's (U.S. government's) policy is to encourage countries of citizenship to take responsibility for their FTFs (foreign terrorist fighters) through prosecution, rehabilitation programs, or other measures that sufficiently prevent detainees from re-engaging in terrorism," Cmdr. Candice Tresch, a Pentagon spokesperson, said. "The USG is pursuing multiple alternative disposition options for those FTFs who cannot be repatriated. President Trump has made clear that GTMO is one of the options that may be considered if appropriate," she said. Trump pledged as a candidate to "load it up with some bad dudes," and, last year, he announced during the State of the Union address that he'd signed an executive order to keep the facility open, after former President Barack Obama said he'd wanted to close it. "I am asking Congress to ensure that in the fight against ISIS and al-Qaeda, we continue to have all necessary power to detain terrorists wherever we chase them down, wherever we find them, and in many cases, for them, it will now be Guantanamo Bay," Trump said during the January 2018 address to Congress. A detainee last was sent in 2008 to Guantanamo, which is down to 40 detainees after the Obama administration pushed third-party and home countries to take back those who'd been cleared by periodic review boards. There have been some successes in moving ISIS fighters out of Syria. On Thursday, the SDF handed over 150 Iraqi ISIS fighters to Iraq, the largest repatriation yet, according to the Associated Press. The decision to leave Guantanamo as an option for foreign ISIS fighters could be directed toward America's European allies. While some countries have accepted or expressed a willingness to repatriate fighters, others have been hesitant to take them back -- as seen in the case of "ISIS bride" Shamima Begum, who was stripped of her citizenship by the United Kingdom. "It's a whole different set of legal frameworks," said Hughes, adding that sentences for fighting with ISIS or traveling to Syria are lighter in many countries than in the U.S. and that it's often politically unpopular to repatriate these militants. 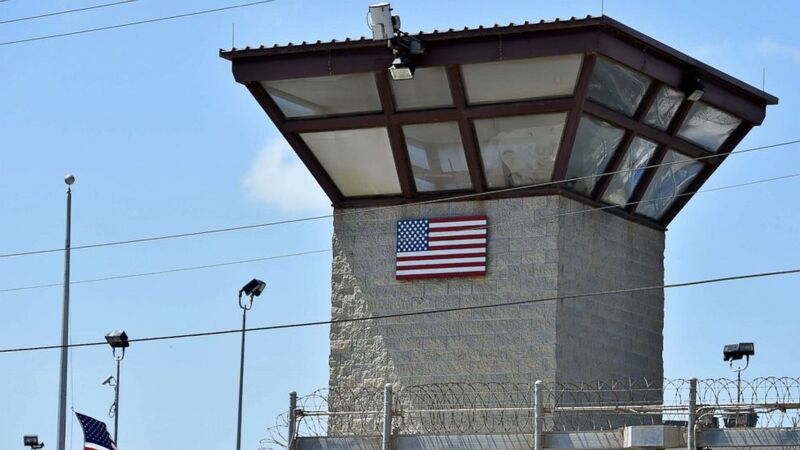 Raha Wala, the director of National Security Advocacy at Human Rights First, said some countries have said publicly, if not privately, that they don't want to cooperate with the U.S. on counter-terrorism issues if the result is sending a detainee to Guantanamo. "It has not only been a moral abomination but also a legal and policy disaster for the United States," Wala said. He said there has been far more success in prosecuting international terror-related cases in federal courts than through Guantanamo's military commissions. So far, the U.S. has taken back 16 ISIS fighters -- four last year -- and prosecuted 13 of them. But going through the federal court system requires countries to bring their citizens home. "We have a responsibility, those 40 countries [where ISIS fighters came from], to take care and bring some level of justice to the victims of Iraq and Syria that were caused by our own citizens," Hughes said. "At some point, western countries are going to have to look themselves in the eye and realize that this is a moral responsibility." To Hughes and others, that responsibility falls on individual nations, not just the U.S. military at Guantanamo Bay. "At the end of the day, the United States can't be the world's jailer," Wala said. "Every country has a role to play in vigorously pursuing justice for crimes of terrorism and humanely detaining those who are accused of terrorism." ABC News' Mariam Khan and Jordyn Phelps contributed to this report.